Kostas brings over 20 years of executive level experience. Kostas believes in the power of ideas and the individual's ability to make a difference. His interdisciplinary experiences in building new businesses and expanding existing ones have spanned research and development, product development, mergers and acquisitions and business development. Kostas is currently Vice President at Intellectual Ventures, an invention capital firm, where he manages the company's business innovation strategy and R&D organization. Through invention and strategic partnerships across industry and governments, he is creating new business opportunities founded in invention that aim to address some of the world's biggest challenges and opportunities. In addition, Kostas is designing intellectual property based business models that will generate new companies based on disruptive technology. Prior to joining Intellectual Ventures, Kostas spent 15 years at Microsoft Corporation in a variety of executive roles. In his last role as a Partner and General Manager of Strategy and Business Development, he blended emerging technologies and business models to bring new technologies to market. Prior to that, he led the Rich Media Group and Labs building transformative media experiences across Microsoft product lines. In addition, Kostas spent several years in M&A where he drove business strategy for numerous deals totaling more than $3.7B and co-authored Microsoft's mergers and acquisition playbook. 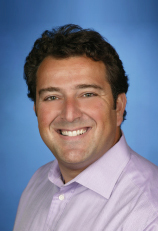 Prior to his M&A work, Kostas was Director in the Enterprise Program Management group, which helped execute Microsoft's Enterprise market entry. In addition, Kostas has held senior positions in the publishing, consulting, and service industries prior to Microsoft. Kostas received his M.B.A. in Management and Technology from Rensselaer Polytechnic Institute and graduated from Siena College with a B.S. in Marketing Management. Kostas is a sought after speaker on innovation and new business trends. He has presented at multiple international conferences that include DLD, TED and the Aspen Institute.